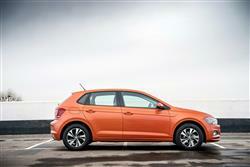 With 14 million cars sold to date, the Volkswagen Polo model line is one of the most successful in supermini history. This MK6 version is larger than before, better equipped and more personalisable. Features like a digital instrument panel and a whole raft of camera-driven safety kit also borrow much from the class above. Why would you buy a Volkswagen Polo? You wouldn't buy it on price, because there are many rival superminis that cost less. Many of these cars will have more equipment inside them. Some will even be nicer to drive. That much-vaunted Volkswagen build quality is, statistically at least, something that the Japanese and Koreans covered off some time ago. So what's the appeal? It's simple. The Polo is all about understated refinement or, to put it another way, conspicuously not trying too hard to impress. Now this is a very hard trick to carry off. Try too hard and this Volkswagen loses its cool. Don't try hard enough and the car looks like a complacent trinket for posers, which is possibly even less desirable. So with this latest sixth generation Polo, the Wolfsburg brand is looking to land it square in that profitable sweet spot. The oily bits under the bonnet have come in for some attention with this sixth-generation car. Petrol options are two three-cylinder 1.0-litre MPI units with 65 or 75PS, two 1.0-litre three-cylinder TSI engines with 95 or 115PS and a 1.5-litre TSI EVO engine with cylinder deactivation (ACT), with power at 150PS. At the top of the range, there's a 200PS 2.0-litre TSI turbo unit for the GTI variant. 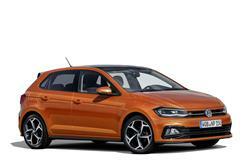 Should you prefer to go diesel, there are now two four cylinder 1.6-litre TDI engines, with either 80 or 95PS. DSG automatic transmission is optional on TSI models. Britain doesn't get the 1.0 TGI natural gas engine offered in Europe. 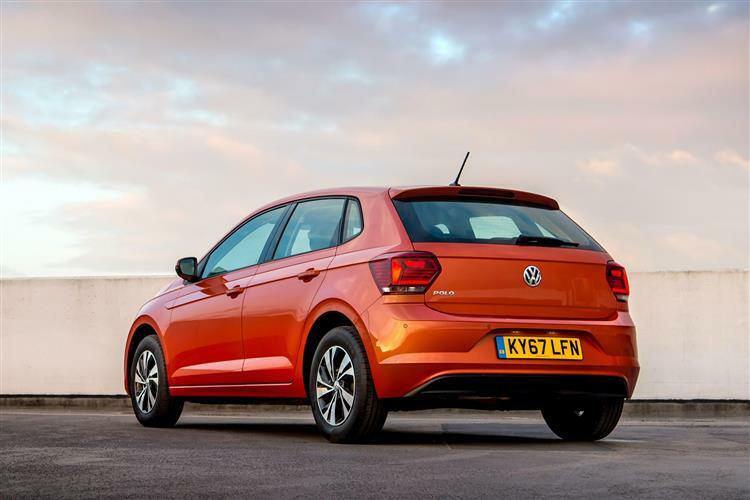 More important is the news that this MK6 model is the first Volkswagen supermini to be based on the group's light, stiff, sophisticated MQB Modular Transverse Matrix chassis, the one fitted to the larger Golf hatch since 2013. That's resulted in a stiffer body that should reduce body roll, at the same time as allowing the chassis to be set up in such a way that the Polo's traditionally excellent standards of ride quality can be further improved. So low key is the Polo's styling that the changes made to this MK6 model may be lost on some customers. Perhaps more obvious though, is this sixth generation design's larger size. It's now only slightly shorter than a MK4 Golf used to be and, thanks to a longer wheelbase than that car, significantly larger inside. 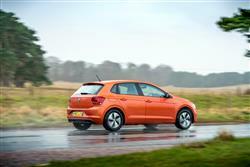 To be specific, this MK6 Polo is 81mm longer than its predecessor, making it now over 4m long. It's now also slightly lower in stance and 69mm wider. Volkswagen thinks that the resulting stretched silhouette is 'more masculine', you decide. In profile, the new styling is defined by an arrow-shaped 'tornado' double line, while at the front, there's a smarter grille flanked by headlamps that can be optionally ordered with full-LED beams. Inside, the vertically-orientated dashboard of the previous model has been replaced with horizontal architecture and a higher placement for the new centre-dash infotainment screen; this monitor varies in size between 6.5 and 8-inches, depending on the variant you select. An upper cross-panel flows across the dash into the doors and can be colour-personalised to suit your taste. As an option, buyers can replace the usual dash dials with Volkswagen's 'Active Info Display' TFT virtual screen gauges. 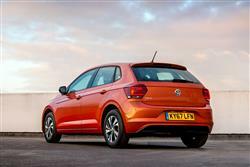 Many potential Polo customers perceive this to be a more expensive supermini than it actually is. Trim levels start at 'S', then rise through 'SE', 'beats', 'SEL' and 'R-Line', culminating with the GTI hot hatch. Prices start at around £14,000 and rise up to well over £20,000 - about par for the small car sector in other words. Volkswagen hopes though, that equipment levels are anything but par for the segment. 'Big car' features now available in this model include full-LED headlights, active damping, a wireless charging mat for smartphones and one of the largest panoramic glass sunroofs in the class. Plus you can add in the brand's 'Active Info Display' to replace the conventional dashboard dials. Infotainment screens vary in size from 6.5 to 8-inches. Camera-driven safety standards take a big step forward. Every model comes equipped with autonomous braking - a combination of the brand's 'Front Assist', City Emergency Braking' and 'Pedestrian Monitoring' systems. Buyers can also add in Blind Spot Monitoring, 'ACC' 'Adaptive Cruise Control' and a 'Rear Traffic Alert' feature that'll warn you of oncoming traffic when you're reversing out of a space. You may well have steered into that space using the optional 'Park Assist' system which now includes a 'manoeuvring function' that'll automatically brake the car if you're about to hit a solid object. No more bollard scrapes then. 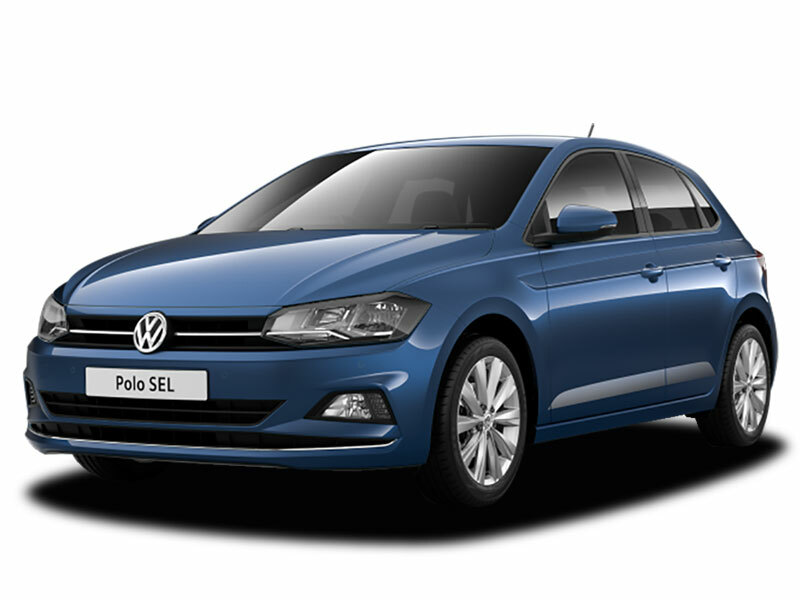 All of the Polo engines on offer are decently frugal. Expect the entry-level 1.0-litre 65PS three cylinder petrol engine to return well over 60mpg on the combined cycle and a CO2 return getting down towards 100PS. The 1.5-litre TSI EVO petrol unit is a great compromise between economy and effervescence thanks to its cylinder deactivation system. Here's a car that can manage 62mph from rest in under 8s and over 135mph, yet still return close to 60mpg on the combined cycle. What else? Well, the three year/60,000 mileage warranty isn't anything to write home about in a marketplace where other rivals offer more. But there is a choice of either 'Fixed' or 'Flexible' servicing regimes, depending on the mileage you expect to cover, the 'Fixed' package appropriate for cars covering under 10,000 miles a year. Residual values will continue to be strong: with the previous generation version, you could expect to get between 44 and 51% of your original purchase price back after three years or 36,000 miles. We don't expect that kind of showing to change much this time round. 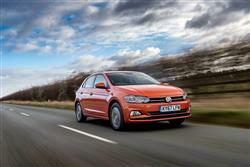 The Volkswagen Polo formula has worked well to date, but competition in the supermini sector has ramped up not by a notch or two but by a great hulking leap thanks to the arrival of cars in this class like all-new versions of the Ford Fiesta, the Citroen C3, the SEAT Ibiza and the Kia Rio. Beating models of that kind isn't as easy for Volkswagen as it used to be. 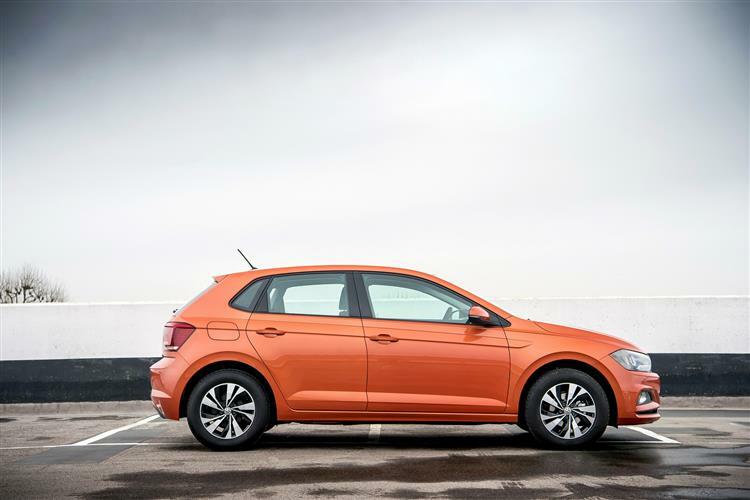 The Polo previously appealed on classy minimalism but most people these days want slick electronics and a greater feeling of design input inside their small cars. Volkswagen has responded and done so with typical thoroughness. 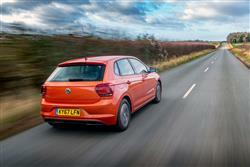 Little about the Polo's dynamics or efficiency really represents a best in class showing. But what makes this car so good is that it's there or thereabouts in most categories but doesn't get beaten by anyone when it comes to perceived quality. That's key. That reassuring feeling that your second-largest capital purchase is money well spent ought to guarantee this car's place at the top table.